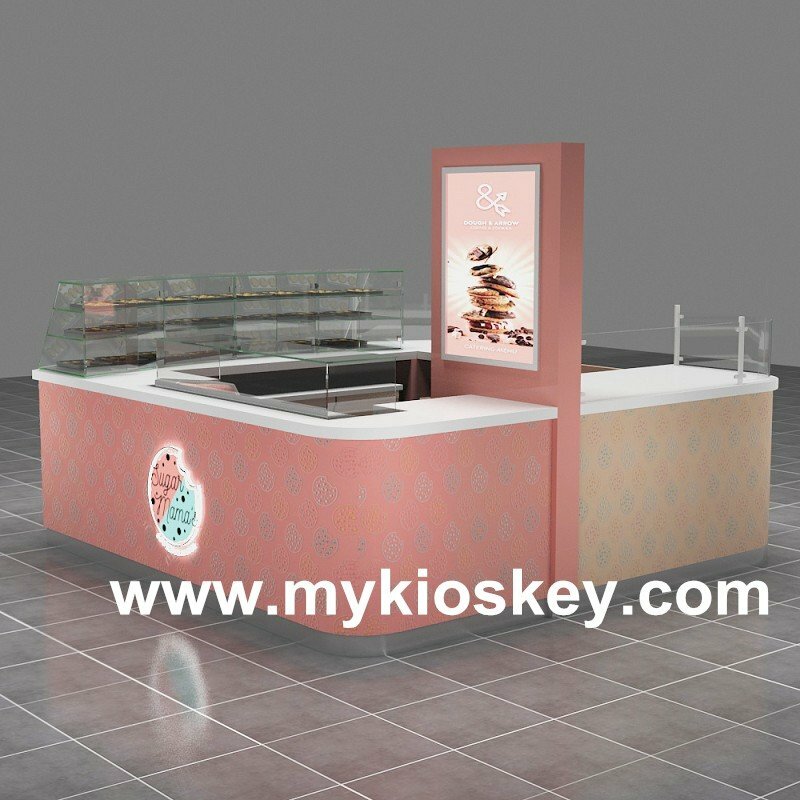 cookies display sales kiosk is can be easy to install in shopping mall. Cookies are delicious food, whatever adult or children both like it. So more and more sellers build small and portable food kiosk to mainly sell all kinds of cookies.As a factory which mainly make mall food kiosks. 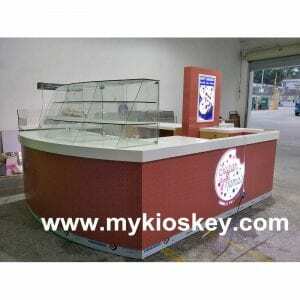 So till today we have done many cookies display sales kiosks. This month we just finished one, i can not wait to share with you. 🙂 It is a stardard mall food kiosk. 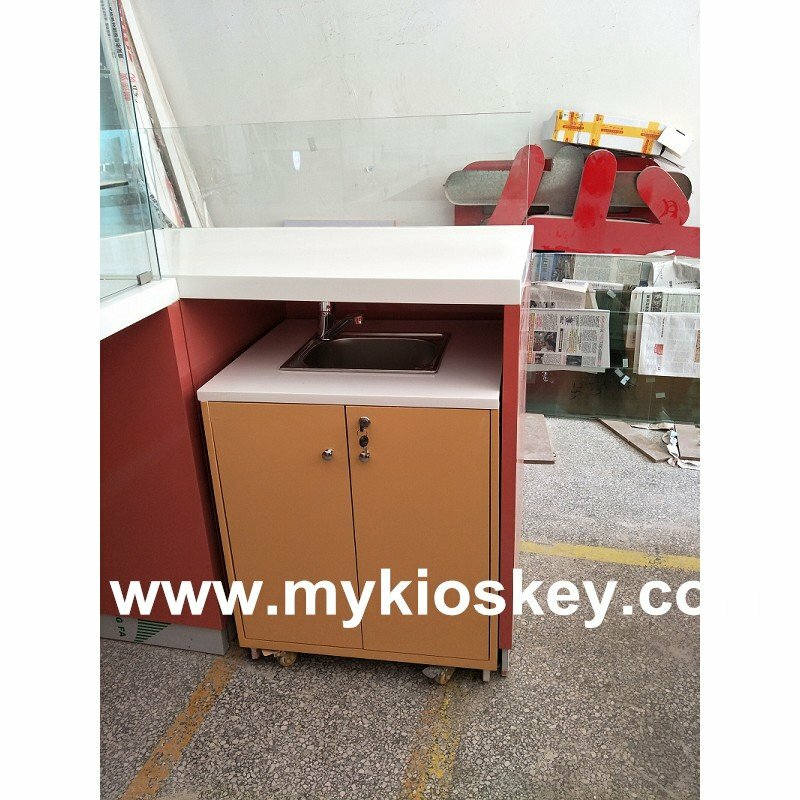 Size is 10 by 10ft, base material is MDF and MDF. Surface material is paint; countertop is covered white man-made stone. 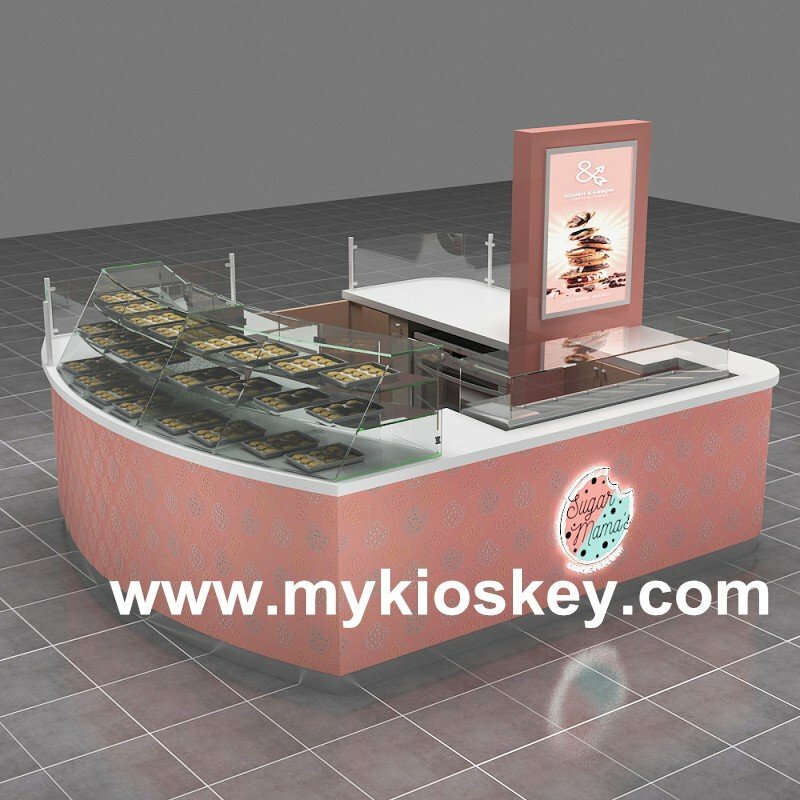 Enclosed some 3D MAX design pictures of cookies display sales kiosk for reference. 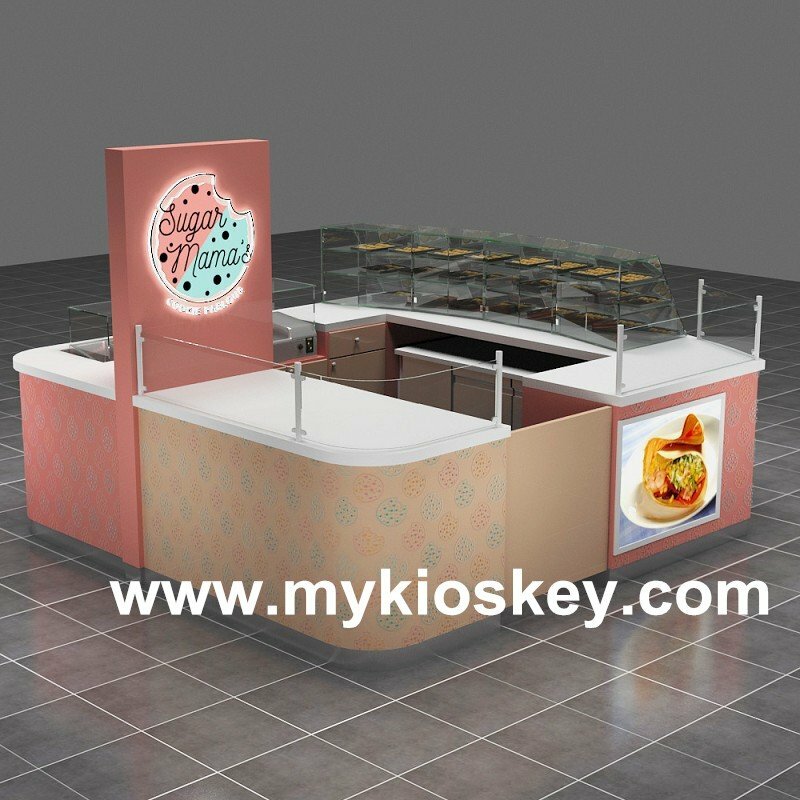 Above are nice cookies display sales kiosk 3D max effective pictures from different angles to show you.We are not only direct factory, but also own professional design team, for each kiosk, we need make drawing firstly according to customers’ requirements. 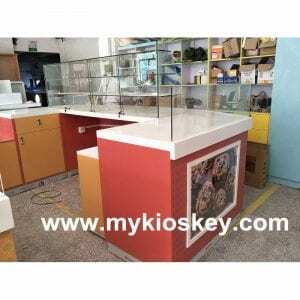 So each kiosk we make just only for you. 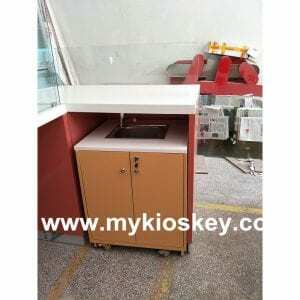 Before design, we need charge 300usd as design deposit, but after you order the kiosk, we will refund you. 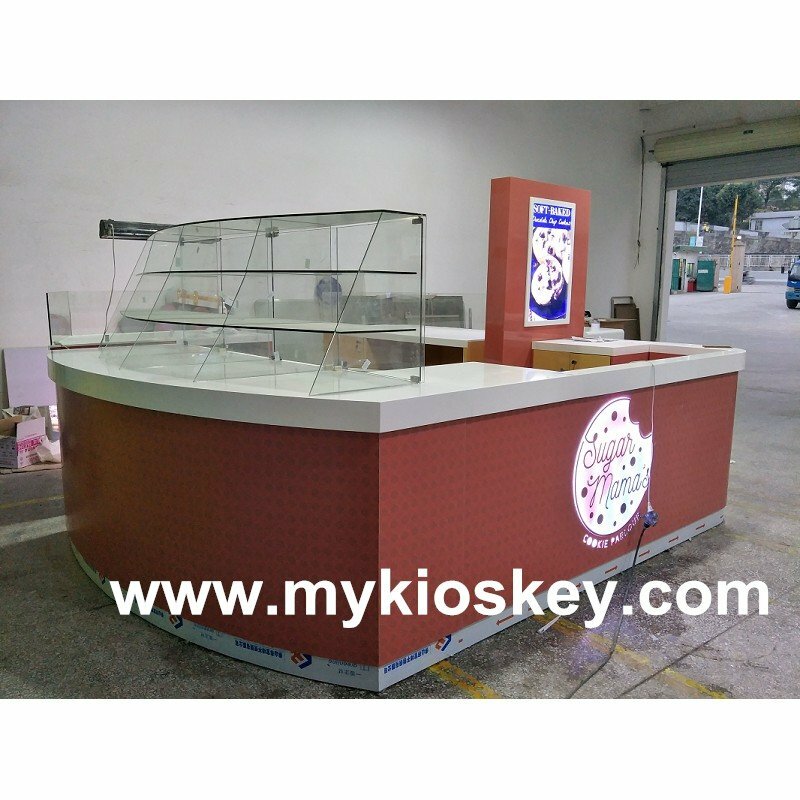 What we do like this just in order to serve you better and have a nice cooperation with you. From design to confirm design and order, need at least one week. Sincerely hope you understand. 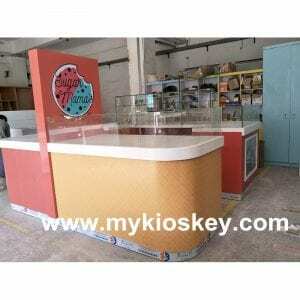 And enclosed some real photos of finished cookies food kiosk.